Kate Noble is the national bestselling, RITA-nominated author of historical romances, including the acclaimed Blue Raven series and the Winner Takes All series. Her books have earned her numerous accolades, including comparisons to Jane Austen, which just makes her giddy. In her other life as Kate Rorick, she is an Emmy-award winning writer of television and web series, having written for NBC, FOX, and TNT, as well as the international hit YouTube series The Lizzie Bennet Diaries. Kate lives in Los Angeles with her husband and son, and is hard at work on her next book. You can find Kate online at KateNoble.com. "Noble charms and enchants with a lively farce of a romance...There's loads of fun, but also tenderness and compassion. Noble certainly understands that combining humor, passion, a lively pace and a bit of mystery captures her fans' hearts." 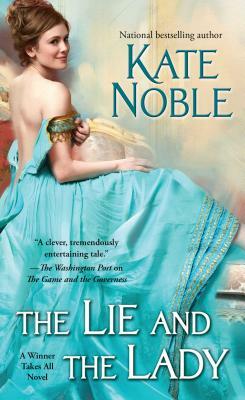 "With a delightfully daring, tongue-in-cheek sense of both humor and romance, Noble continues where The Game and the Governess left off....heartwarming."